Tire blowouts never occur at an opportune time. Whether you are doing it yourself or calling roadside assistance, changing a flat is inconvenient and can even be dangerous depending on where you are forced to remedy the situation. Run-flat tires were created about three decades ago to combat the inconvenience of changing a flat. As the name states, run-flat tires are tires that you can continue driving on despite them being punctured. You can't drive on punctured run-flat tires forever - manufacturers warn that after 50-100 miles they will have lost too much air pressure to be safe - but typically you'll have enough time to find a service station or at least a safe place to change out your tire. Additionally, you'll need to slow down, as manufacturers recommend not breaching 50 miles per hour on a punctured run-flat tire. How Do Run-Flat Tires Work? Run-flat tires use either the support ring system or the self-supporting system. Self-supporting run-flat tires can support your car despite air loss because of their reinforced sidewalls. The sidewalls maintain their integrity for an extended period of time after a puncture, which allows you to continue driving. Support ring systems add a ring of hard rubber or similar compound that supports your car's weight after air loss. It is important to remember that run-flat tires should only be installed on cars that feature a tire pressure monitoring system (TPMS). TPMS alerts you when a tire begins to lose air pressure, and because run-flat tires are designed to continue rolling despite a puncture, you might not know if you are driving on an underinflated tire otherwise. Enable you to continue driving to a safe location to change out a blown tire. 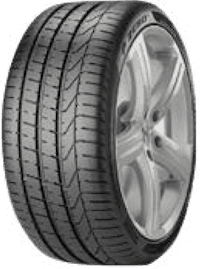 Offer more stability than conventional tires if they experience a rapid decrease in air pressure. Should only be used on vehicles with a TPMS system. Studies show run flat tires experience tread wear faster their traditional counterparts. Less available than traditional tires. Normally more expensive to replace than traditional tires. Usually cannot be repaired and must be replaced if punctured. Reinforced sidewalls mean a bumpier ride than on traditional tires. There are pros and cons regarding run-flat tires. If you are unsure whether you could benefit from them, consult your local Pep Boys expert. Our technicians will discuss your options and help you choose the tire type that best fits your needs.